To help you better understand our unique and personalized approach to the type of relationship we develop with our clientele, imagine that you have decided to build a custom home. 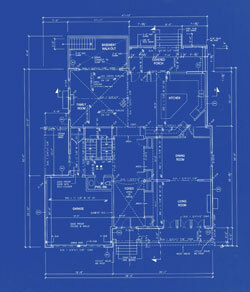 Initially, you will require an architect to design your custom dream home based on your specifications. Once your design has been completed, you then will need a contractor who has the necessary skills and experience to build your home. Finally, with your house built, it is time to put your personalized finishing touches on the interior design of your home. What if all of those roles could be fulfilled by the same person? Someone who would be with you every step of the way to ensure that everything was being done to your exact specifications, to listen intently and focus exclusively on your goals and needs? It’s this level of personalized concierge service that allows us to develop and implement the plan that can help meet your needs; continue to meet and consult with you to ensure that it remains in line with your original goals; and make adjustments as necessary. Our role evolves based on the phase of the process we are in, but our commitment to you and your needs is unwavering throughout. All problems have various solutions. Our job is to find one that is right for you and your family. We are committed to bringing to you a full range of not just products, but comprehensive wealth management solutions. Similar to a home inspection, it’s important to be aware of the current foundation or structure that you have, what may need to be fixed, and/or what is secure. We encourage you to review our Annual Financial Health Checklist, a month-by-month checklist of some key financial tasks to consider throughout the year and ensure that you are on the right path with your financial blueprint.